1996 Dot to Dot, Room, Catalog, New York, NY. 2001 Big Plastic, curated by Jay Belloli, Armory Center for the Arts, Pasadena, CA. Frank, Peter, "Art Picks of the Week," L.A. Weekly, February, 2003. 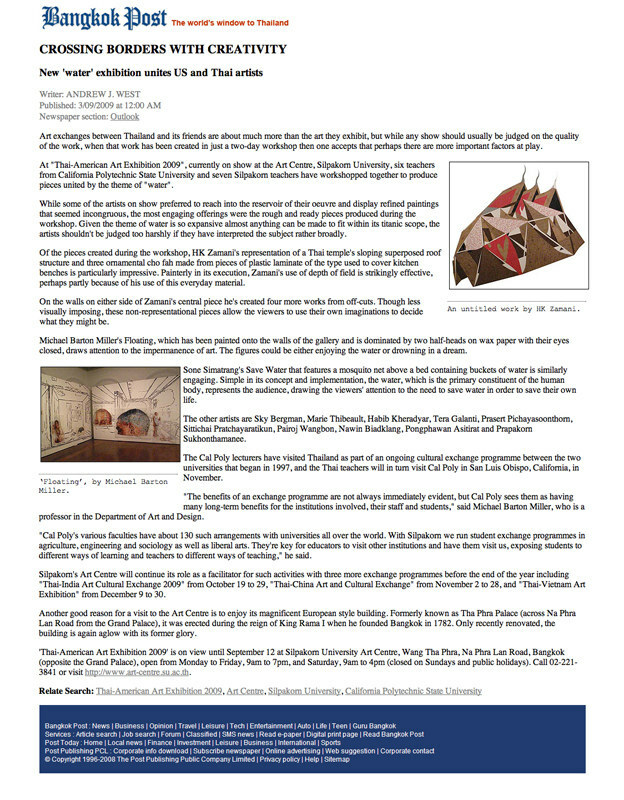 Zimmerer, Kathy, "Habib Kheradyar at MillerDurazo," Artscene, February 2003. 1990 Certificate of Honor for Contributing to the Arts &Humanities, CSUDH, Carson, CA.